Mobile technology has transformed how we live our lives. It's changed the way we search for information, consume content, and communicate with others. It has also changed our purchasing behavior. With mobile commerce, we can now make purchases anytime, anywhere, on a device that fits in our pockets. This is not only true of consumer purchases––it's rapidly becoming the case in B2B buying as well. 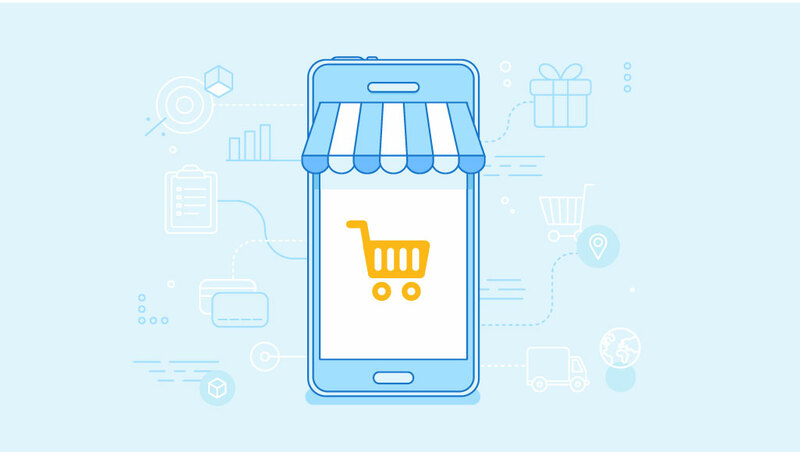 Let's take a closer look at a mobile commerce definition to not only define exactly what it is, but also to highlight how it is becoming important to B2B suppliers and buyers. B2C purchases on apps like Amazon and other B2C eCommerce sites. On-demand services like Postmates, Instacart, or Lyft. B2B mobile commerce in the form of B2B buyers placing orders from suppliers on their mobile devices. Obviously mobile commerce has existed in the B2C realm much longer than it has in B2B. For B2B suppliers, offering a "mobile" ordering solution has long meant a legacy solution like a barcode scanner or other expensive proprietary hardware. Offering B2B buyers a way to place orders on a consumer mobile device is a relatively new idea in B2B, but the suppliers moving in this direction are capturing an enormous opportunity as B2B buyers seek the ease and speed of ordering that they've experienced in their consumer lives. B2B buyers are also looking for multi-channel ordering experiences that allow them to purchase from not just sales reps, but also web eCommerce portals and––of course––mobile commerce apps. Today, nearly 75% of B2B customers are already using their mobile devices to research B2B purchases, and B2B suppliers are looking to invest in native mobile applications that offer speed, intuitive navigation, offline access, and convenience. Software-as-a-Service ordering solutions are lowering barriers to entry on these types of mobile experience for B2B, not just prioritizing user experience, but also incorporating B2B-specific workflows, like net payment terms, shipping terms, seller review processes, etc. Indeed, off-the-shelf, mobile-first eCommerce solutions can help B2B suppliers get mobile ordering off the ground faster and easier than ever before. But what are the advantages of having a mobile commerce application in place for B2B buyers? Not only are suppliers offering anytime, anywhere ordering solutions that allow buyers to place orders in the moment of purchase intent (rather than having to wait for a sales rep visit or a call during business hours), mobile commerce is also opening new doors for B2B marketing. Whether through mobile push notifications or email marketing, it's now possible to stay in touch with B2B buyers on promotions, new products, seasonal launches, etc. With the ability to place orders from a mobile device, B2B buyers can see a marketing message and immediately act on it by placing an order. B2B companies are also employing other B2C-oriented marketing initiatives, such as cart abandonment emails to encourage buyers to finish purchases or targeting based on browsing history or sales territory. These types of features are currently being pioneered in the B2B space, but they will continue to grow and become more common. In general, mobile commerce is becoming less of a novelty in B2B as B2B eCommerce adoption in general increases. Suppliers are looking to make it as easy as possible for B2B buyers to do business with them. Giving buyers the ability to place orders quickly from anywhere, at any time, on any device is becoming less of a novelty and more of a norm in manufacturing & distribution. For more information on mobile commerce, download our guide, "Mobile Commerce: The Next Big Thing in Manufacturing & Distribution."